Guitarhoo! 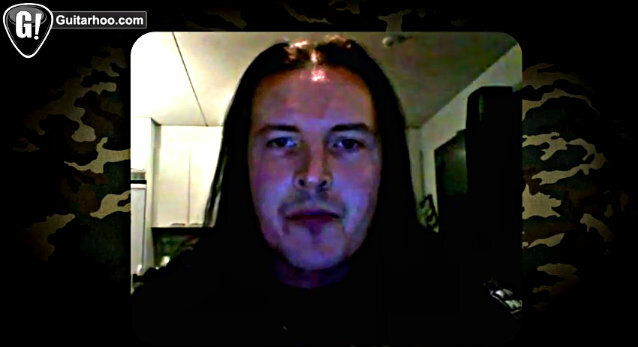 recently conducted an interview with Finnish guitarist Kasperi Heikkinen, a current member of U.D.O. and former member of AMBERIAN DAWN, MERGING FLARE and GUARDIANS OF MANKIND. Kasperi spoke about his early roots as a musician, joining U.D.O., his guitars of choice, touring, future projects and much more. You can watch the chat below. U.D.O. 's new album, "Steelhammer", was released on May 24 via AFM Records. The CD was produced by Dirkschneider and Fitty Wienhold.